Thank you for your interest in Big Bear! We’re so happy you found us! 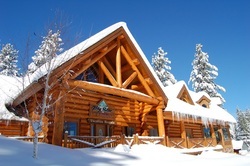 Big Bear Vacations also offers over 300 private homes and cabins through BigBear Vacations.com and BigBearCabins.com with an additional 11 fully equipped charming resort cabins at their lakefront property, Shore Acres Lodge, on Lakeview Drive in Big Bear Lake. Remember, Big Bear Lake and all of its activities are only a short drive away from any LA area and serves as the perfect backdrop for a family vacation. So, no matter if you are looking for upscale, luxury homes or romantic cabins by the lake, Big Bear Resorts, Inc has a private vacation rental home that will suit your needs for any vacation you’re looking to take – during winter, summer spring or fall. Just give us a call at 877-845-9134 and let us know what your are looking for – our friendly and knowledgeable getaway specialists will help you decide on the perfect cabin, condo or luxury home to best fit your vacation needs and budget.